I’m writing this post because one of my blogger friend yesterday asked how to get affiliate link from Amazon site me on Facebook. So this post is to help him to get affiliate product from Amazon associate site. If you have any problem regarding computer or anything, you can ask me by contacting me on my site or on Facebook or on Twitter @pkarunkumar I will try to help if possible. Ok, back to topic. There are so many ways we can embed Amazon products on our site, but today I will show some popular or general method. After using this method you will came to know some other method in later days. Fill that Signup form and send the application to Amazon team. They will approve all application to their affiliate system within 24hrs in most of the time. Now we need to choose appropriate product to display on our website. 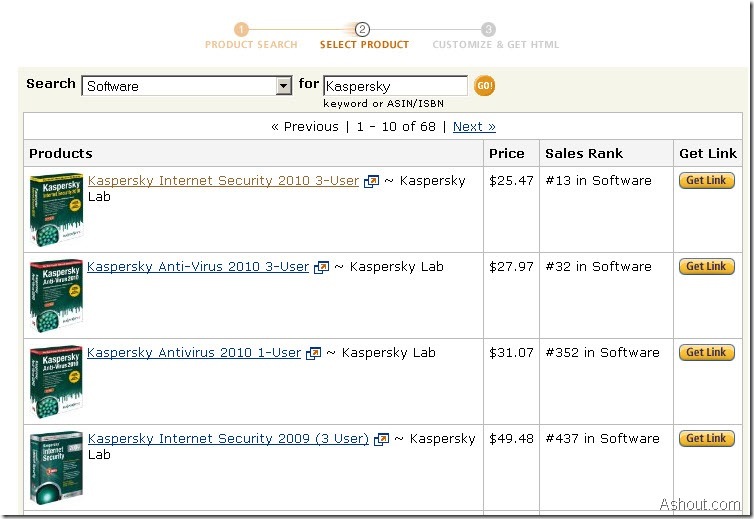 For example I need to add Kaspersky software on one of my post so in search option choose Software Category and in the empty box enter the product (Kaspersky) and click Go! 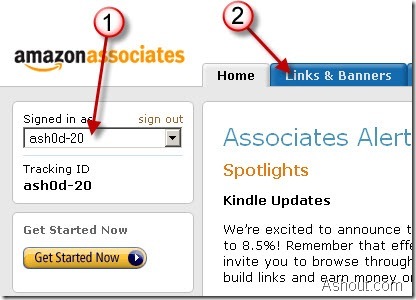 Choose the type you like to embed Amazon affiliate link in your site. Copy the html code and paste it on your site where you want to display Amazon affiliate link to earn money with Amazon affiliate product. Hope this post helps in getting affiliate link from Amazon website or Amazon associate site. Is it possible to earn money just because I sent somebody to amazon.com and that person will find something and buy it? If I am not pointing directly to any product just globally to amazon. 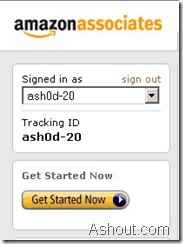 Don’t modify anything with amazon affilate link, just put the code as they give…. The amazon affiliate url: “http://www.amazon.co.jp/……%26tag%3Dnavermatome-100977-22%26linkCode……” from “http://matome.naver.jp/odai/2131615219615646901”. I dont know part “navermatome-100977-22â€³.The number “100977â€³ is automatic put to affiliate tag (not limit same tracking id). How to they can put it to tag.Please help me! That part must be need in every link, that is called as “associate id”. In my case it is “ashod-22” and yours is “navermatome-100977-22â€³ . I don’t think amazon allows Sub-id tracking. 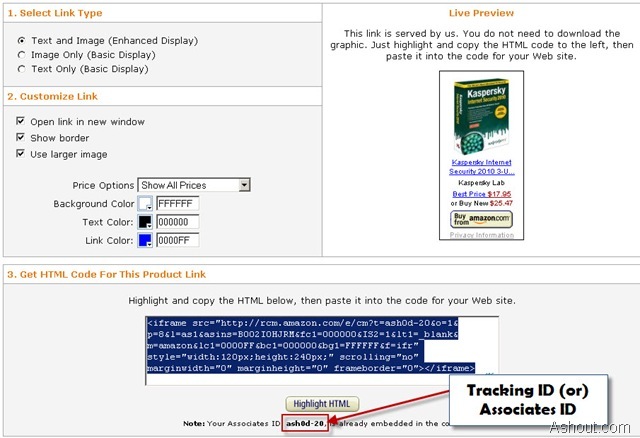 Dear you can, Go to in tracking code panel. Click for new tracking code, but always remember the last alphabet remain same, and your tracking name have little bit change.